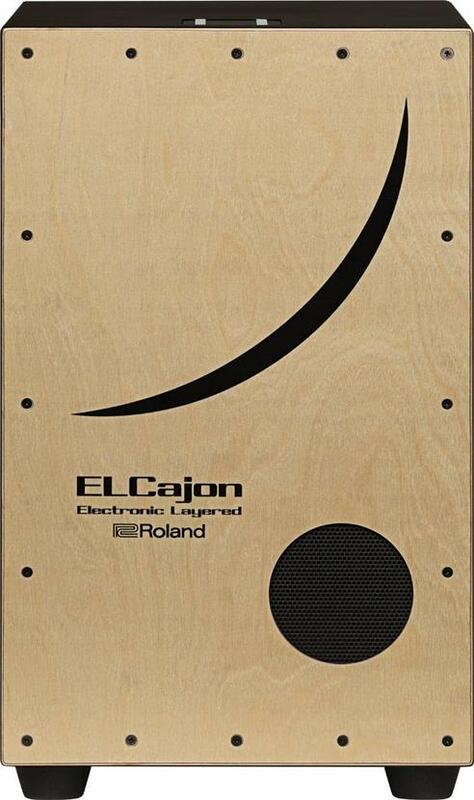 Unique and versatile, the EL Cajon EC-10 allows cajon players to easily enhance their music with layered electronic sounds. To start, the EC-10 is an authentic acoustic cajon that sounds great on its own. What’s more, it has Roland’s renowned electronic percussion technology built in, letting you blend a range of complementary sounds with the cajon voice, from traditional percussion like tambourine and shaker to acoustic snare, electronic drums, sound effects, and more. Completely self-contained with battery power and onboard amplification, the EL Cajon EC-10 puts the dynamic world of hybrid percussion in the hands of every cajon enthusiast.